It’s hard to recall life before computers. It’s no exaggeration to say that society relies upon them for just about everything associated with business and personal tasks. As a result of this reality, the field of computer science has grown exponentially over time, accelerating most briskly in the past two decades. The study of CompSc or CS offers unlimited career opportunities for those fascinated with formulating algorithms, conceiving paradigms, building systems and experimenting with hardware and software innovations that further develop society’s capacity for synthesizing data, communicating and creating. To become part of the IT industry, it helps to have a personal interest in problem solving and a talent for embracing challenging technical problems plus a solid education in the field of information technology. While the world of CompSc has changed radically since engineer Charles Babbage first built an engine with an expandable memory and processing capabilities in 1837, the discipline remains grounded in a complex mix of theory and practice that has resulted in numerous career paths that bridge creative and technical work. 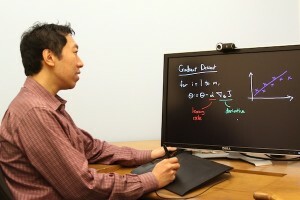 Computer science encompasses science, engineering, mathematics and disciplines that rely upon modeling and problem solving via the use of hardware and software. The computer scientist assists consumers and professionals in their quest to synthesize, collect and track data in precise, creative and rational ways that can be verified and proven. Operating system designers, engineers and techs responsible for the structure and development of the programs that facilitate man-made machine functions. Computational scientists,a computer scientist in this area is usually responsible for the analysis of numeric methods that result in computer mathematical problem solutions. Computer architects, the computer architect most likely to take this career path enjoys studying and using mathematical logic to design the electronic circuitry than underpins computers and similar electronic devices. Intelligence systems engineers focus on the means by which computers perform the tasks assigned to them, best described as actions and processes classified as intelligent if they were instead performed by people. Automata theorists may make up the most esoteric of all computer science niches because these professionals literally devote their energies to the abstract study of computers and the tasks they are capable of performing. Data storage and retrieval professionals are concerned with finding ways to safely and efficiently store massive of amounts of data in computers while allowing for their fast and easy retrieval. Software engineers usually know plenty about hardware, but it’s the software that’s running on these systems that occupies them most. Software engineers use tools of the trade to design, develop, test and improve upon programming; these professionals must be somewhat versatile in today’s media- and device-driven world. Web developers create and maintain websites for themselves and/or clients, so this is a hot field that’s not showing signs of slowing down. This is a great option for people who want to be independent contractors. Game developers. Yes, it’s possible to find a place within this burgeoning industry, but since so many flock to it, competition can be fierce. That said, premiums are paid to the best of the best so if your aim is to reach this pinnacle, get plenty of education and experience under your belt. Computer cyber sleuths are the newest iteration of computer scientist in that they are trained not just to prevent data theft, but they’re often responsible for creating the firewalls and back trace programs used by industry, the government and law enforcement to find and shut down hackers, cyber thieves and pirates. You think logically rather than emotionally. You have a passion for numbers and enjoy solving math problems because they intrigue rather than frustrate you. You love a challenge. Just the thought of solving difficult technological problems can keep you up nights, but you refuse to give up until a solution is found. You like collaboration. The image of a lone wolf sitting alone in a dark room hunkered over a computer screen doesn’t always jive with the reality of computer scientists who love nothing more than collaborating to find solutions. Besides, who else can you talk tech to? You stay calm in the face of stress despite Herculean amounts of data flying across your screen. You are capable of handling it and perhaps even love the adrenaline rush. You’re creative, resourceful and inventive—not wedded to single solutions when more logical ones could unearth answers. You’re versatile and have multiple interests, so the idea of being cross-trained and educated in diverse areas of computer science intrigue you rather than frighten you. You think it’s fun to code. This is a particularly invaluable asset these days, because reading and writing code has never been more important in this industry. While all colleges, universities–and even technical schools–develop unique curricula designed to coordinate with departmental and faculty objectives, the education of a computer scientist requires a foundation that’s fairly standard before he or she is in a position to elect a specialty. Included in this preparatory coursework are mathematical foundations, programming, systems and computer theory. In terms of credit hours, a typical CS degree requirement spread might be 26 mathematics credits, 11 science credits, 13 engineering fundamentals credits, 14 core units and 26 CS-focused electives. Some schools require a “technology and society” class to helps students understand the relationship between computer technology and the people who use it. Typical specialty tracks include Artificial intelligence, Computer engineering, Graphics, Information Systems, Hardware and Software Design. There’s often a senior project required for graduation. The future is bright for men and women entering the field of computer science. The number of jobs remains healthy and is expected to continue growing at a 15% increase projected through 2022. This number shows faster than average growth compared to other professions. The median salary range is hard to pin down because at any given time, one specialty may be in more demand than others, particularly these days as cyber-security specialists are at a premium, but on average, one can expect to earn at least $54 per hour as an IT professional. According to our latest salary report, graduates can earn between $66,293 (early career) and $108,791 (mid-career) per year based on education and experience. Factor in a graduate degree and/or a specialty that’s in high demand (e.g., game developers and cyber-security specialists) and you may be able to write your own ticket when negotiating salary, title and a compensation package. As long as computers exist and people require them, this industry should remain recession proof. You can make good money if you train properly—especially if you choose a specific niche that coordinates with another fast-growing industry (e.g., medical computer software design). You’ll enjoy a persistent rush of elation as you solve problems and intuit complicated solutions. Your ability to troubleshoot, diagnose and rectify problems can offer more job security. You don’t have to get an advanced degree to land a good title and salary in this industry. If you happen to prefer algorithms to people, becoming a developer can take you out of the people-to-people loop, particularly if dealing with consumers doesn’t fit your personality. Even if the industry sounds like a solid ticket to employment, if you dislike or have problems with math, a computer job could be a bad fit. You could wind up being perpetually replaced by overseas resources eager to do for your company what you currently do, and for ten cents on the dollar. Even if frustration is not a problem for you, management decisions to abandon platforms, languages, brands, equipment or other tools of the trade without consulting computer scientists on staff occurs a lot. Given the critical nature of computers, expect crises involving computer outages, breakdowns or cyber-invasions to result in working long and late hours to rectify emergency situations that can’t wait for morning. You would not be the first computer scientist to suffer from Code Overload. This exacting job can lead to fatigue, eye strain and boredom, so knowing how to cope with these potential issues will serve you well. Be selective about the classes you take while getting a degree so you don’t paint yourself into a corner. Go outside your comfort zone; you’ll probably be surprised by what you find. You can get a great education in computer science online and save a bundle by not paying for a bricks and mortar education that also includes pricey dorm, food and living expenses. Become involved in professional organizations in your geographic area that help you network, build relationships and find future job prospects down the road. If you have a stack of projects on your desk, all with looming deadlines, tackle the hardest first and the rest of them will take less time. Use your first job as a foundation. If you are eager and willing to continue your education at night, determine if you are eligible for tuition reimbursement so you don’t have to pay for an advanced degree on your own. Take advantage of continuing education classes, workshops, symposia, trade shows and other industry or educational opportunities to learn about technological advances that can impact your job and future. Don’t be shy about taking credit for the work you do if you are responsible for all or most of it. On the other hand, if a project’s success was a team effort, be the first to share the credit with your colleagues.